Games for the Weekend is a weekly feature aimed at helping you avoid doing something constructive with your downtime. Each Friday we’ll be recommending a game for Mac, iPhone or iPad that we think is awesome enough to keep you busy until Monday, at least. This week we bring you the first game I’ve seen that takes full advantage of what iOS 5(s aapl) and iCloud can mean for gaming: Scribblenauts Remix ($4.99). In addition to being a fun puzzle game, Scribblenauts (s twx) also takes full advantage of iCloud by syncing saved games across iOS devices. 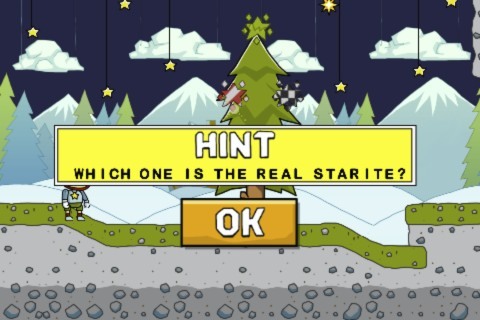 The goal of Scribblenauts Remix is to help Maxwell get Starites on each level. You help him by creating objects he can use to interact with his environment. Creating objects is achieved by writing them out. 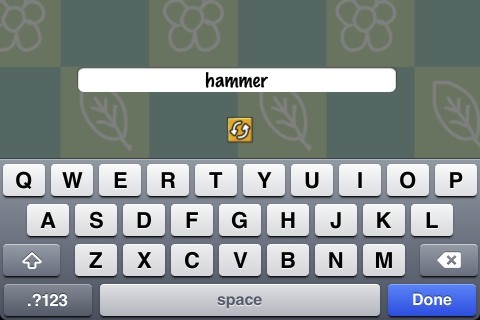 For instance, to get the Starite on the first level I wrote “hammer,” providing the main character with one he could use to attack the tree the Starite was stuck in and shake it loose. For some levels you need to get to the Startite that’s visible on-screen, while on others you need to create a number of necessary objects to unlock the Starite; in one I needed to create eight items a person in school might need. There is some level of intelligence to the notepad you use to create items; if you type in something it doesn’t recognize, it will suggest alternatives. The laid-back nature of the nature of the game is great for mobile gaming. You won’t find yourself in an awkward situation where you’re almost at your stop on the train, but aren’t in a position to quit the game quite yet. The graphics are fun and cartoony. Warner Bros. claims there are unlimited solutions and outcomes but I haven’t had much of a chance to test out that claim. There are definitely multiple ways to solve a level, though the goals never change. While you can create different objects each time you play the schoolhouse level, for instance, in the end you still need to create eight objects it’s happy with. What’s really great is since it’s a Universal app and uses iCloud to sync saves, you can switch between devices at will. I didn’t have to do anything special to get fame syncing to work, but I assume you need to have Documents and Data under iCloud’s Settings ticked. What I did notice is it will sync the levels you’ve unlocked and your score, but not your progress through an individual level. How they use iCloud is exactly how I hope all game developers use it. Not being able to sync my save game state is a major pain. Since iCloud also keeps the data after you’ve deleted the game from your device, you can pick up where you left off when you reinstall. Fantastic stuff!